The East Aurora School District has improved its financial picture, according to state Comptroller Thomas P. DiNapoli's fiscal stress monitoring system. 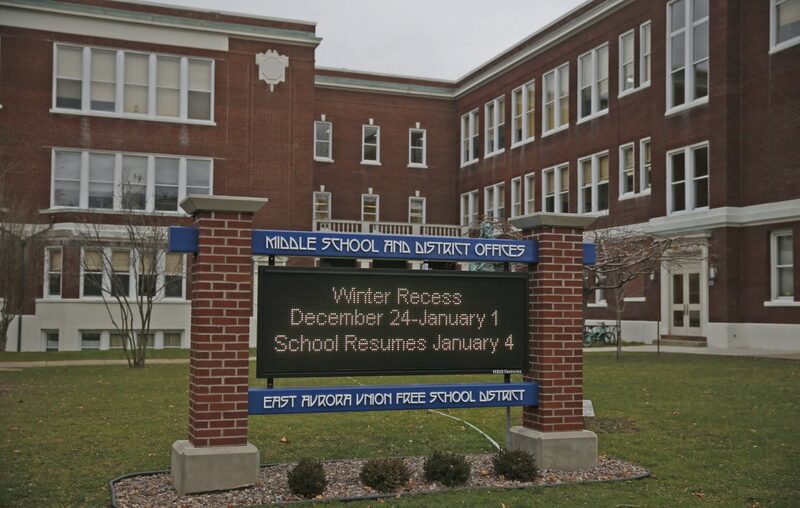 East Aurora was one of 21 schools deemed "susceptible" to financial stress. Last year the district was considered to be in significant fiscal stress. The state system identifies issues with budgetary solvency and rates school districts as being susceptible, or in moderate or significant stress. Clymer Central was the only other Western New York district on the susceptible to fiscal stress list this year. Lake Shore, West Seneca, Niagara Wheatfield and Springville-Griffith districts were rated as being susceptible to stress last year, but moved off the list this year. Five districts in the state were deemed in significant stress this year: Eldred, North Suffolk Common, Norwich, Schenevus and Wyandanch.